21 talks about overcoming failure and sustaining success. Don’t mess with happy. 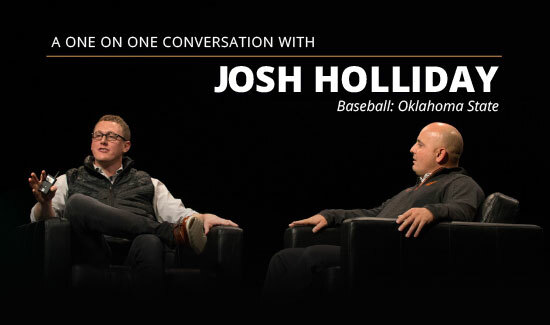 That’s one thing Josh Holliday has learned coaching at OSU. He explains what that means to him and The Cowboy Code, a value-driven system he coaches his players through. 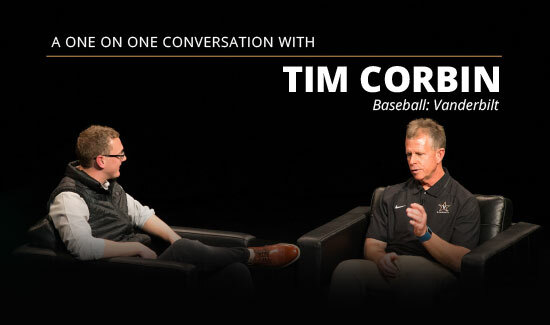 Tim Corbin treats sports as study. He takes us inside his classroom and stepparent approach to coaching and why re-inventing your message every year is vital to keeping your team engaged. What do you hope your kids get out of the sport experience? That question inspired Mike Matheny to write The Matheny Manifesto. He shares on how the idea grew from a concept to a book. Would you of hired you? 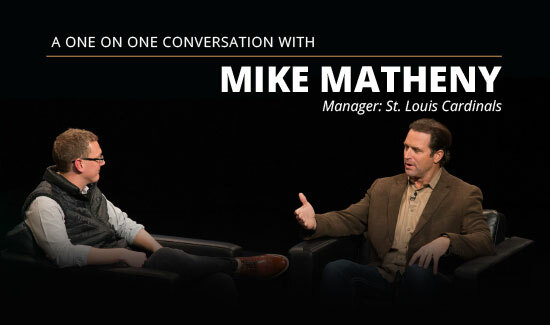 Mike Matheny details what it was like taking over the Cardinals as a new manager and how he’s learned to deal with the scrutiny that comes with the job. Mike Matheny manages a roster spanning in age from 22-36. He peels back the layers of The Cardinal Way, a philosophy that has guarded his clubhouse against complacency and below-the-line behavior. When you prioritize growth over outcomes, failure doesn’t exist. 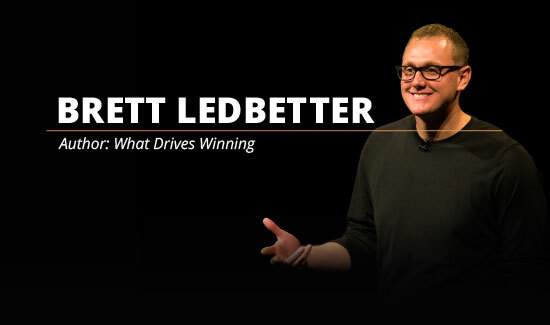 Brett Ledbetter expands on this idea through a case study on Kobe Bryant. Do you struggle with vulnerability? Patty Gasso did. She talks about how a personal tragedy and her team helped her attack that. 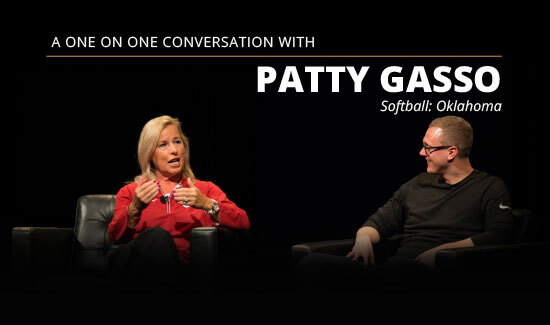 Patty Gasso is a trailblazer in women’s sports. 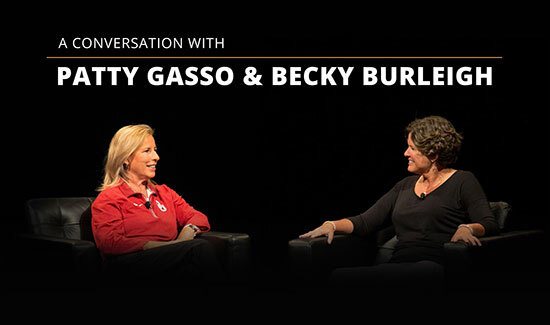 In this 1 on 1 interview with Becky Burleigh, she gives thought to her career trajectory and the challenges she’s faced as a female coach. Why do coaches get distracted by talent? 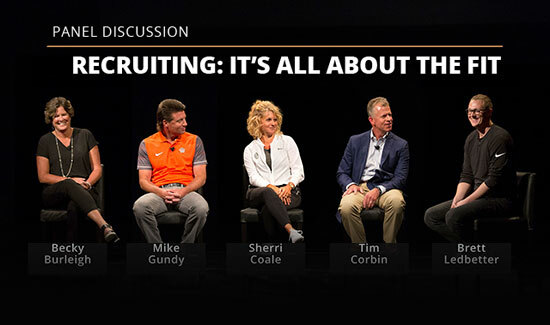 Becky Burleigh, Mike Gundy, Sherri Coale and Tim Corbin touch on this and other common recruiting pitfalls. 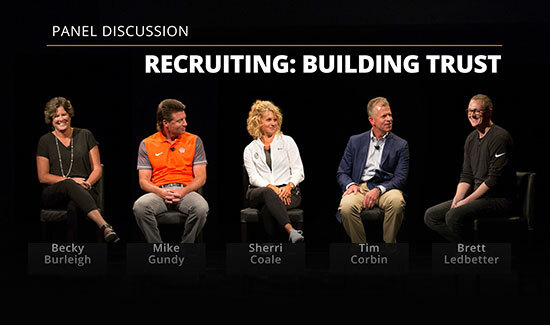 The key to recruiting is a consistency in communication. That’s what John Calipari believes. In part I of this series, four high-level coaches weigh-in. 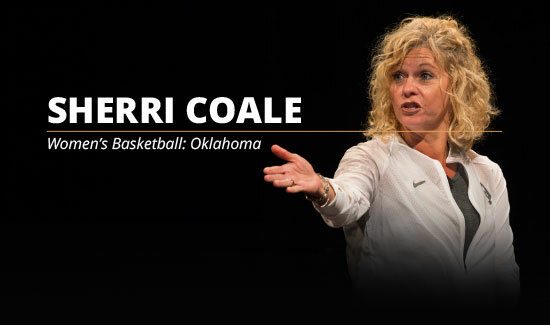 Sherri Coale transitioned from coaching high school to college basketball. Mike Gundy once played for the team he now coaches. 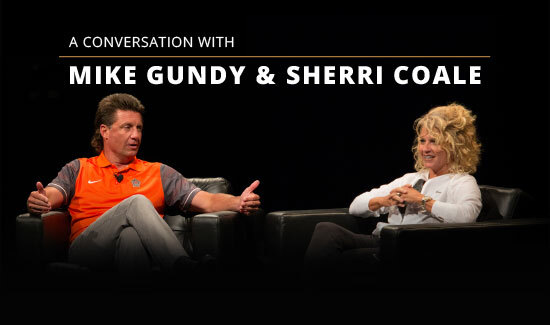 The pair talk about their early coaching days and ways their programs have evolved. Making decisions is arguably the most challenging yet important part of a coach’s job. Sherri Coale digs into how self-awareness can help you stay on-course in finding your true north as a coach. What’s the biggest issue in youth sports today? Why do kids hate the car ride home? 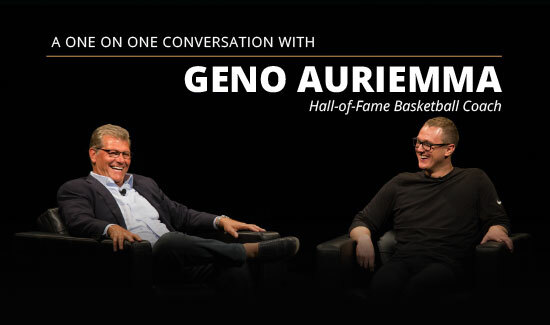 In part I of this three part series, Geno Auriemma sheds some light. UConn is notorious for its high standards and difficult practices. Former player, Kaleena Mosqueda-Lewis, knows this all too well. She shares her favorite Geno Auriemma story. Where do you find fulfillment when every win feels the same? Geno Auriemma reveals his truth about achievement and struggle to bear the burden of winning. Bill Belichick is a master at recruiting the right players to his team. 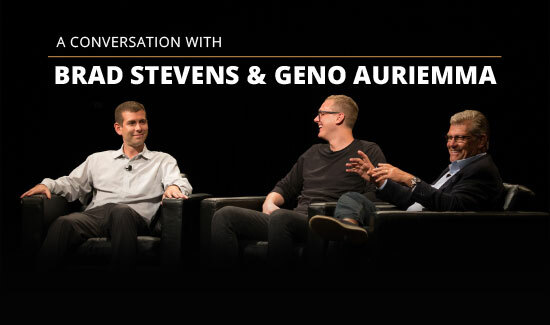 Brad Stevens and Geno Auriemma examine his methods and answer questions about their own. How can you tell if a player is intrinsically motivated? Brad Stevens and Geno Auriemma share the signs they look for and how they orient newcomers into their program. What’s worse: losing or winning every game? 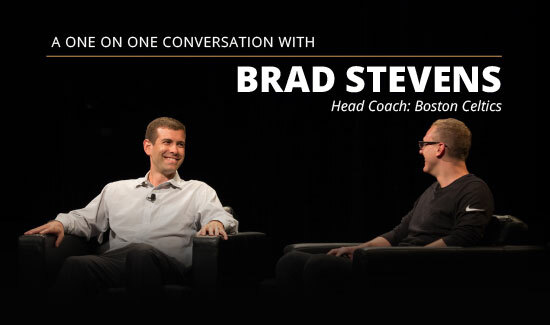 Brad Stevens and Geno Auriemma explore the psychological impact of each and difference in coaching at the college versus pro level. Actions communicate a lot. Brad Stevens describes where his aptitude for keeping a calm sideline demeanor comes from and how he’s able to keep a healthy perspective working in college basketball. It took Brad Stevens 9 days to accept the head coaching position for the Boston Celtics. He breaks down the role alignment, self-awareness and the Butler Pyramid played in his decision to take the job. Brad Stevens believes growth is something everyone can buy into. He speaks about how he’s taken this idea into the Boston Celtics locker room as they pursue Banner 18.